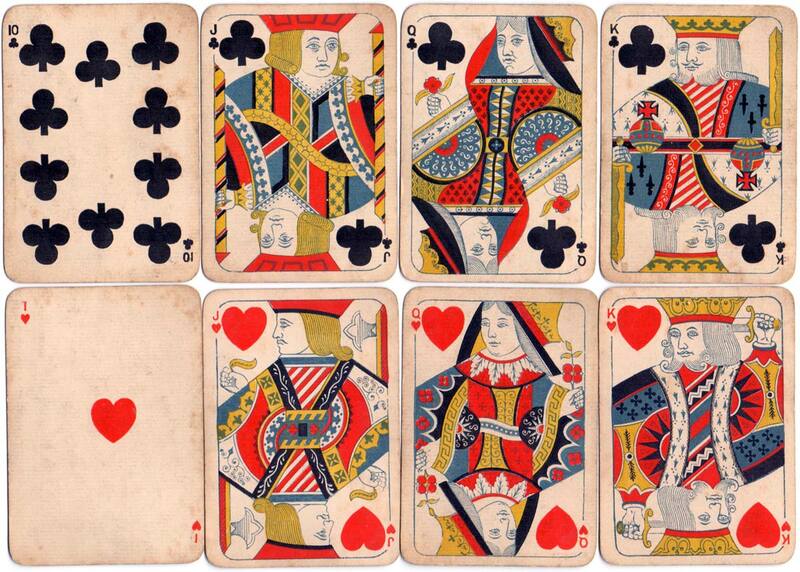 Woolley & Co “Eureka” playing cards with rounded corners, small index pips and decorative back designs, c.1880-1885. 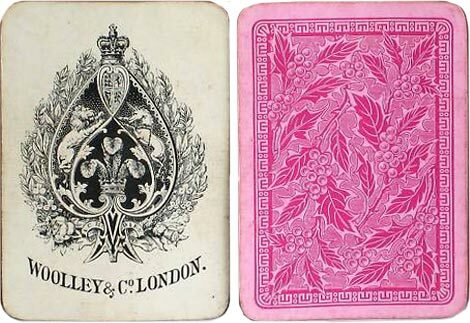 Packs with corner indices, along with rounded corners, had been introduced by Woolley & Co as a novelty around 1878-79 and were sold at that time for one shilling per pack. Woolley also took pride in publishing new artistic and eye-catching back designs each season, in several tints, which were inspired by fashion trends of the day. These features, along with enamelled surfaces and competitive prices, were aimed at increasing sales. 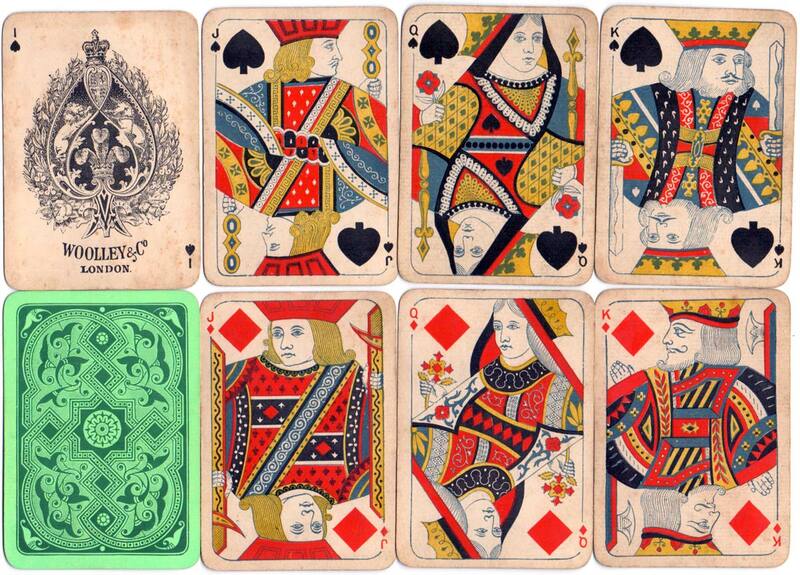 Above: Woolley & Co “Eureka” playing cards with rounded corners, small index pips and green decorative back design, c.1880-1885. 52 cards. Above: another of the "Eureka" type, with the innovative and registered small indices in the corners and a geometric back design, from the 1880s. Image courtesy Jonas Bohn.